The two Korean couples arrived in Thailand on Christmas Eve for a holiday. 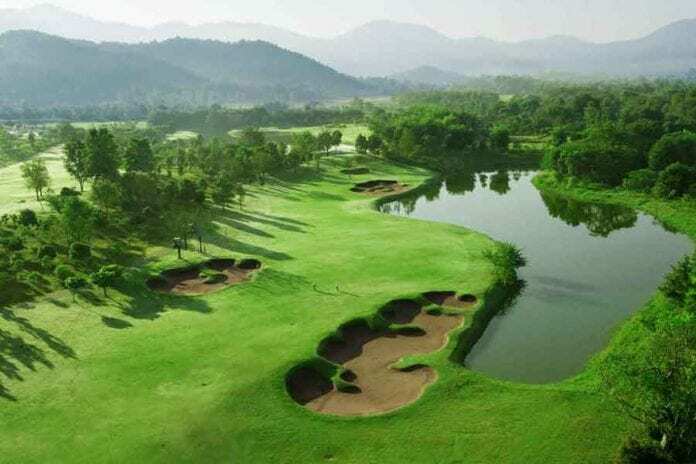 Now the two men are dead after drowning in a golfing accident in Northern Thailand. When playing at a golf course the two couples had to cross the river dividing the course. The wives were in one buggy and accidentally rammed the men when on the ferry. All of them fell into the muddy water of the river and were swept away. The women were promptly rescued by nearby fishermen. More than 50 rescuers from the military and police were involved in the search for the missing men – Jun Yong-sung, 68, and Jaeoong Ha, 76. One body was found last night about 2 kilometers from the accident site, while the other was discovered by villagers on Thursday morning “floating near a temple”, Suwat said. It’s assumed the cause of drowning was the strong undercurrent. Thailand typically draws more than 35 million visitors each year, but tourism took a hit in 2018 after a ferry carrying Chinese tourists in southern Thailand sank in July, killing 47 people. The accident, which highlighted lax safety rules in the tourism sector, left Chinese tourists to worry and caused a sharp decline in Chinese tourist arrivals to the kingdom.